A Rare Pause to Update the Site! TEASE --> Check back in a couple of days when I plan to post an announcement of interest. Well,.. interesting to me at least! I actually reduced my convention travel this year to enjoy a little personal time but Warner Bros had different plans for me. The success of the "Rebirth" characters at DC Comics prompted WB Consumer Products to plan a sizeable Style Guide featuring those character and villains in order to fulfill requests to place them on licensed merchandise. I'll just say it consumed every day that I wasn't on the road and I'm entering the latter half of 2018 still looking for that elusive personal time. My first 2018 outing was anything but small though. Congrats to the ACE Comic Con crew for introducing arena-based events and actually pulling it off. Wasn't quite sure what to expect at ACE Arizona but I left well-impressed! Good luck with the future events, guys. Followed ACE though with some of those comics-centric shows I mentioned above,.. the North Texas Comic Book Show, the Huntsville Comic and Pop Culture Expo, South Carolina Comicon, and Cape Comic Con. A whole lot of southern hospitality and a whole lot of enjoyment. All are recommended! East Coast Comic Con is definitely not a small show and it mounts a totally impressive comics guest list every year, but it still remains a true comic con. My favorite event to mix it up with New York area fans. 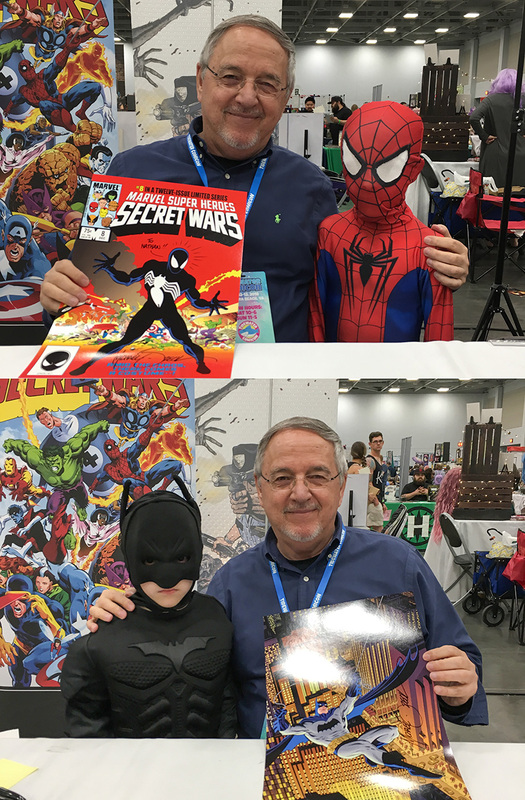 I returned to Tidewater Comic Con in May because it just keeps getting better, and to Buffalo shortly after because Nickel City Comic Con puts on a top-rate event. I knew what to expect at Phoenix Fan Fusion,.. enhanced security thanks to that one dopey attendee last year. Happy to see that they managed to get the massive crowd in and out fairly seamlessly though. Hopefully returning there soon. June saw me back in the Big Easy for Mighty Con New Orleans, back to the rare air of Colorado for the big Denver Comic Con, and traveling to the fields of Kansas for the Smallville Comic Con. So glad to visit Hutchinson KS and experience what Jon, his wife, and their extended family and friends have created with the Smallville show. A unique event in so many ways and a terrific memory. 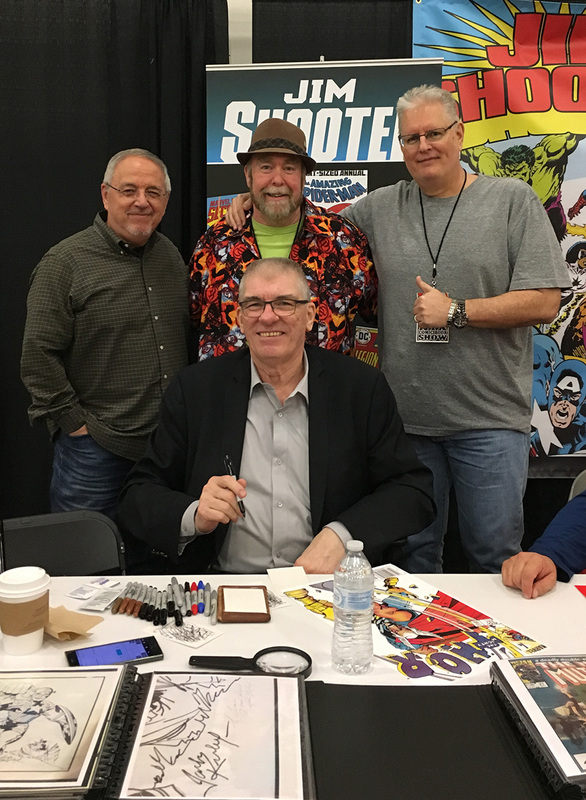 Big thumbs up to the Youngstown Comic Con earlier this month! I'll just say that Steranko and I both have Greg's Youngstown show high on our favorite events list and let you figure out if you should try it out or not. In other words,.. yes,.. go. I'll post a small gallery of select pics from some of these shows. Mouse over images to see descriptions.